Fairy tales such as "Jack the Giant Killer" have formed the modern perception of giants as stupid and violent monsters, sometimes said to eat humans, especially children (though this is actually a confusion with ogres, which are distinctly cannibalistic). The ogre in "Jack and the Beanstalk" is often described as a giant. In some more recent portrayals, like those of Jonathan Swift and Roald Dahl, some giants are both intelligent and friendly. 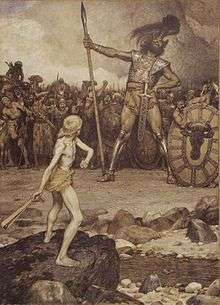 David faces Goliath in this 1888 lithograph by Osmar Schindler. The Bible also tells of Gog and Magog, who later entered into European folklore, and of the famous battle between David and the Philistine giant Goliath. The 1st-century historian Flavius Josephus, and the 1st-2nd-century BC Dead Sea Scrolls give Goliath's height as "four cubits and a span," approximately 2.00 m or about six feet seven inches. The King James translation of the Bible reports the giant Goliath as "six cubits and a span" in height—about nine feet nine inches tall, (over 2.75 m) (1Samuel 17:4 KJV), but the Septuagint, a Greek Bible, gives Goliath's height as "four cubits and a span" (~2.00 m). See also Gibborim. Jewish historian Flavius Josephus also described the Amorites as giants in his Antiquities of the Jews, circa 93 AD, indicating that fossil evidence still remained at that time: "For which reason they removed their camp to Hebron; and when they had taken it, they slew all the inhabitants. There were till then left the race of giants, who had bodies so large, and countenances so entirely different from other men, that they were surprising to the sight, and terrible to the hearing. The bones of these men are still shown to this very day, unlike to any credible relations of other men." The Book of Enoch describes giants as the offspring of fallen angels and mortal women in 7:2. In Hinduism, the giants are called Daityas. The Daityas (दैत्य) were the children of Diti and the sage Kashyapa who fought against the gods or Devas because they were jealous of their Deva half-brothers. Since Daityas were a power-seeking race, they sometimes allied with other races having similar ideology namely Danavas and Asuras. Daityas along with Danavas and Asuras are sometimes called Rakshasas, the generic term for a demon in Hindu mythology. Some known Daityas include Hiranyakashipu and Hiranyaksha. The main antagonist of the Hindu epic Ramayana, Ravana, was a Brahmin from his father's side and a Daitya from his mother's side. His younger brother Kumbhakarna was said to be as tall as a mountain and was quite good natured. According to Paiute oral history, the Si-Te-Cah or Sai'i are a legendary tribe of red-haired cannibalistic giants, the remains of which were allegedly found in 1911 by guano miners in Nevada's Lovelock Cave. Furthermore, the Paiute creation story tells of "beautiful giants" who once lived between the Sierra Nevada and the Rocky Mountains. After giving birth to a disfigured child, the giants treated the child so poorly that the Great Spirit responded by making the land hot and desolate and allowing enemies to conquer the giants. Only two giants survived: Paiute and his wife, both of whose skin became brown from eternally living in the hot desert. Adrienne Mayor writes about the Si-Te-Cah in her book, Legends of the First Americans. She suggests that the 'giant' interpretation of the skeletons from Lovelock Cave and other dry caves in Nevada was started by entrepreneurs setting up tourist displays and that the skeletons themselves were of normal size. However, about a hundred miles north of Lovelock there are plentiful fossils of mammoths and cave bears, and their large limb bones could easily be thought to be those of giants by an untrained observer. She also discusses the reddish hair, pointing out that hair pigment is not stable after death and that various factors such as temperature, soil, etc. can turn ancient very dark hair rusty red or orange. In Greek mythology the gigantes (γίγαντες) were (according to the poet Hesiod) the children of Uranus (Ουρανός) and Gaia (Γαία) (spirits of the sky and the earth) where some depictions had them with snake-like legs. They were involved in a conflict with the Olympian gods called the Gigantomachy (Γιγαντομαχία) when Gaia had them attack Mount Olympus. This battle was eventually settled when the hero Heracles decided to help the Olympians. The Greeks believed some of them, like Enceladus, to lay buried from that time under the earth and that their tormented quivers resulted in earthquakes and volcanic eruptions. Herodotus in Book 1, Chapter 68, describes how the Spartans uncovered in Tegea the body of Orestes which was seven cubits long—around 10 feet (3 meters). In his book The Comparison of Romulus with Theseus Plutarch describes how the Athenians uncovered the body of Theseus, which was of more than ordinary size. The kneecaps of Ajax were exactly the size of a discus for the boy's pentathlon, wrote Pausanias. A boy's discus was about twelve centimeters in diameter, while a normal adult patella is around five centimeters, suggesting Ajax may have been around 14 feet (~4.3 meters) tall. The Cyclopes, usually children of Gods (Olympians) and nature spirits (nereids, naiads and dryads), are also compared to giants due to their huge size (Polyphemus, son of Poseidon and Thoosa, and nemesis of Odysseus, comes to mind). The Elder Cyclopes were the children of Gaia and Uranus where they later made Zeus' Master Thunderbolt, Poseidon's Trident, and Hades' Helm of Darkness during the Titanomachy. The Hekatonkheires are giants that have 100 arms and 50 heads who were also the children of Gaia and Uranus. Hercules faces the giant Antaios in this illustration on a calix krater, c. 515–510 BC. Several Jupiter-Giant-Columns have been found in Germania Superior. These were crowned with a statue of Jupiter, typically on horseback, defeating or trampling down a Giant, often depicted as a snake. They are restricted to the area of south-western Germany, western Switzerland, French Jura and Alsace. In Norse mythology, the Jotun (jötnar in Old Norse, a cognate with ettin) are often opposed to the gods. While often translated as "giants", most are described as being roughly human sized. Some are portrayed as huge, such as frost giants (hrímþursar), fire giants (eldjötnar), and mountain giants (bergrisar). The giants are the origin of most of various monsters in Norse mythology (e.g. the Fenrisulfr), and in the eventual battle of Ragnarök the giants will storm Asgard and fight them, until the world is destroyed. Even so, the gods themselves were related to the giants by many marriages, and there are giants such as Ægir, Loki, Mímir, and Skaði, who bear little difference in status to them. The Chief God Odin was the great-grand son of the Giant Ymir. An old Icelandic legend says that two night-prowling giants, a man and a woman, were traversing the fjord near Drangey Island with their cow when they were surprised by the bright rays of daybreak. As a result of exposure to daylight, all three were turned into stone. Drangey represents the cow and Kerling (supposedly the female giant, the name means "Old Hag") is to the south of it. Karl (the male giant) was to the north of the island, but he disappeared long ago. According to Balt legends, the playing of a girl giantess named Neringa on the seashore formed the Curonian Spit ("neria, nerge, neringia" means land which is diving up and down like a swimmer). This giant child also appears in other myths (in some of which she is shown as a young strong woman, similar to a female version of the Greek Heracles). "Neringa" is the name of a modern town on the spot. In Bulgarian mythology, giants called ispolini inhabited the Earth before modern humans. They lived in the mountains, fed on raw meat and often fought against dragons. Ispolini were afraid of blackberries which posed a danger of tripping and dying, so they offered sacrifices to that plant. Giants are rough but generally righteous characters of formidable strength living up the hills of the Basque Country. Giants stand for the Basque people reluctant to convert to Christianity who decide to stick to the old life style and customs in the forest. Sometimes they hold the secret of ancient techniques and wisdom unknown to the Christians, like in the legend of San Martin Txiki, while their most outstanding feature is their strength. It follows that in many legends all over the Basque territory the giants are held accountable for the creation of many stone formations, hills and ages-old megalithic structures (dolmens, etc. ), with similar explanations provided in different spots. However, giants show different variants and forms, they are most frequently referred to as jentilak and mairuak, while as individuals they can be represented as Basajaun ('the lord of the forests'), Sanson (development of the biblical Samson), Errolan (based on the Frankish army general Roland who fell dead at the Battle of Roncevaux Pass) or even Tartalo (a one-eyed giant akin to the Greek Cyclops). King Arthur faces a giant in this engraving by Walter Crane. In folklore from all over Europe, giants were believed to have built the remains of previous civilizations. Saxo Grammaticus, for example, argues that giants had to exist, because nothing else would explain the large walls, stone monuments, and statues that we now know were the remains of Roman construction. Similarly, the Old English poem Seafarer speaks of the high stone walls that were the work of giants. Even natural geologic features such as the massive basalt columns of the Giant's Causeway on the coast of Northern Ireland were attributed to construction by giants. Giants provided the least complicated explanation for such artifacts. Medieval romances such as Amadis de Gaula feature giants as antagonists, or, rarely, as allies. This is parodied famously in Cervantes' Don Quixote, when the title character attacks a windmill, believing it to be a giant. This is the source of the phrase tilting at windmills. Tales of combat with giants were a common feature in the folklore of Wales, Scotland and Ireland. Celtic giants also figure in Breton and Arthurian romances perhaps as a reflection of the Nordic and Slavic mythology that arrived on the boats, and from this source they spread into the heroic tales of Torquato Tasso, Ludovico Ariosto, and their follower Edmund Spenser. In the small Scottish village of Kinloch Rannoch, a local myth to this effect concerns a local hill that apparently resembles the head, shoulders, and torso of a man, and has therefore been termed 'the sleeping giant'. Apparently the giant will awaken only if a specific musical instrument is played near the hill. 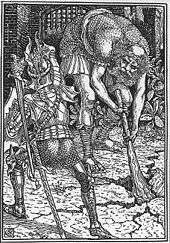 Other giants, perhaps descended from earlier Germanic mythology, feature as frequent opponents of Dietrich von Bern in medieval German tales - in later portrayals Dietrich himself and his fellow heroes also became giants. Many giants in English folklore were noted for their stupidity. A giant who had quarreled with the Mayor of Shrewsbury went to bury the city with dirt; however, he met a shoemaker, carrying shoes to repair, and the shoemaker convinced the giant that he had worn out all the shoes coming from Shrewsbury, and so it was too far to travel. Other English stories told of how giants threw stones at each other. This was used to explain many great stones on the landscape. Giants figure in a great many fairy tales and folklore stories, such as Jack the Giant Killer, The Giant Who Had No Heart in His Body, Nix Nought Nothing, Robin Hood and the Prince of Aragon, Young Ronald, and Paul Bunyan. Ogres and trolls are humanoid creatures, sometimes of gigantic stature, that occur in various sorts of European folklore. An example of another, Slavic, folklore giant is Rübezahl, a kind giant from Wendish folklore who lived in the Giant Mountains (nowadays on the Czech-Polish border). Additionally, mythological beings which are not necessarily considered giants in the common sense can be characterized by a giant-like body size, e.g. the Bergmönch, a German mountain spirit. In Kalevala, Antero Vipunen is a giant shaman that possesses mighty spells dating to the creation. Epic hero Väinämöinen sets out to learn these spells from him, but Vipunen is buried underground, and when Väinämöinen digs him out, he is accidentally swallowed by Vipunen. Väinämöinen then forces Vipunen to submit and sing the spells out by hammering his insides. An analysis by Martti Haavio is that Vipunen is not physically large, but his familiar animal (astral form) is a whale. The depiction is not found in the majority of Finnish original stories, and most probably originates from the book's compiler Elias Lönnrot. ↑ Freedman, David Noel, ed., The Anchor Bible Dictionary, (New York: Doubleday, 1997, 1992). ↑ "The Book of Enoch: The Book of Enoch: Chapter VII". sacred-texts.com. ↑ Zimmer 1953, p. 226. 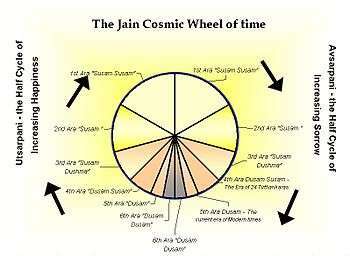 ↑ Jain 2015, p. 175. ↑ Jain 2015, p. 181. 1 2 Loud, Llewellyn L.; M. R. Harrington (15 February 1929). "Lovelock Cave". University of California Publications in American Archaeology and Ethnology (University of California at Berkeley) 25 (1): 1–183. ↑ Greene, Michael S (2005). Nevada: A Journey of Discovery. Utah: Gibbs Smith. p. 39. ISBN 1-58685-139-X. ↑ Mayor, Adrienne (2005). Fossil legends of the first Americans. Princeton, N.J: Princeton University Press. ISBN 0-691-11345-9. ↑ Стойнев, Анани; Димитър Попов; Маргарита Василева; Рачко Попов (2006). "Исполини". Българска митология. Енциклопедичен речник (in Bulgarian). изд. Захари Стоянов. pp. 147–148. ISBN 954-739-682-X. ↑ Wilhelm Grimm, Jacob Grimm: Deutsche Sagen. Hamburg 2014, p. 34. ↑ "Väinämöinen ja Antero Vipunen". parkkinen.org. ↑ de Lapouge, G. (1890). "Le Gėant Fossile de Castelnau". La Nature. 888: 11–12. Retrieved 27 December 2010. Le sujet aurait une taille probable de 3m, 50 [11 ft 5.8 in]. ↑ "A Prehistoric Giant". The Popular Science News and Boston Journal of Chemistry and Pharmacy. 24 (8): 113. August 1890. Retrieved 2011-10-27. ↑ "A Race of Giants in Old Gaul". The New York Times. October 3, 1892. Retrieved August 31, 2011. ↑ "The Princeton Union (Princeton, Minn.) Pg. 2". October 11, 1894. Retrieved August 31, 2011. ↑ "The McCook Tribune (McCook Neb.) Pg. 3". March 8, 1895. Retrieved August 31, 2011. Lyman, Robert R., Sr. (1971). Forbidden Land: Strange Events in the Black Forest. Vol. 1. Coudersport, PA: Potter Enterprise. Childress, David Hatcher (1992). Lost Cities of North & Central America. Stelle, IL: Adventures Unlimited. Schäfke, Werner (2015). ″Dwarves, Trolls, Ogres, and Giants″. In Albrecht Classen (Ed. ): Handbook of medieval culture. Fundamental aspects and conditions of the European middle ages, vol. 1. Berlin: de Gruyter, pp. 347–383.